A leading manufacturer for Concrete Superflat Floor Machines. 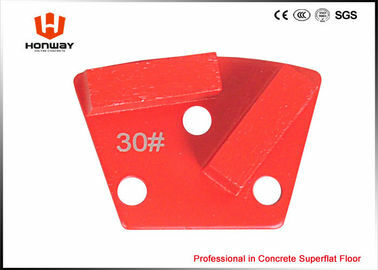 The diamond pads are widely use in concrete or terrazzo floor surface preparation, removing the floor coatings, grind the uneven floor. Changsha Honway Machinery Co., Ltd is the Professional manufacturer for floor scarifying & grinding & polishing machine in China. We are located in Changsha city which is well known as the capital of construction machinery in China. This city has the abundant supply of machinery engineers, workers, technique, workcraft, etc. Our company develops here and builds up as a manufacturing the machines for ‘Concrete Superflat floor’. Q:If the diamond is easy to be exposed? A: Firstly it depends on if you choose the right diamond grinding pads for the floor. Secondly, it depends on the machine weight and speed. Honway assures that the diamond concentration is very enough. Q:How to check the quality before I order? A: To be honest, it is unable. It is unable to see the quality from outside. You are suggested to order a few for test. Many customers purchase a small order again and again, to check the quality and stability of grinding pads, then build up the long cooperation with us. Q:If you supply sample free of charge? A: Really sorry for it, we can’t, because a set of diamond pads (6-12pcs) is a high value. We could assure the diamond powders and materials are super level in China. Thanks for your understanding. 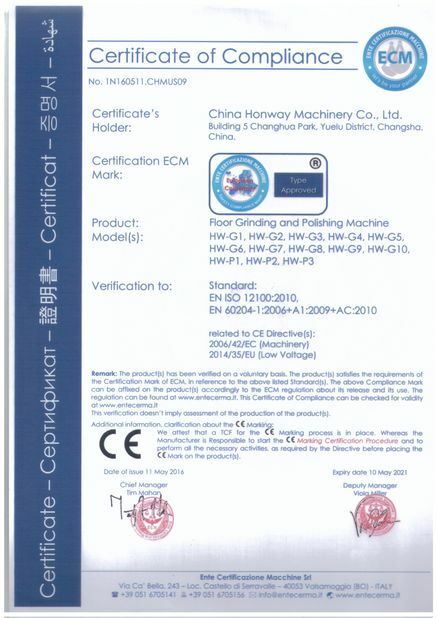 Changsha Honway Machinery Co., Ltd.
China Good Quality Concrete Floor Grinding Machine Supplier. Copyright © 2018 - 2019 floor-grindingmachine.com. All Rights Reserved.